Joyetech CUBIS Pro Mini is a smaller version of CUBIS Pro, which can only hold 2ml e-juice, compact but powerful. The 22mm diameter is very convenient to carry. Joyetech CUBIS Pro Mini is a smaller version of CUBIS Pro, which can only hold 2ml e-juice, compact but powerful. The 22mm diameter is very convenient to carry. It features leak resistant cup design, you can refill the e-juice by removing the top cap only, easy to operate. It also adopts TFTA-Tank technology and redesigned airflow control system. The BF SS16-0.5ohm DL coil and LVC Clapton-1.5ohm MTL coil can feed your various need. It will provide you a wonderful vaping experience. •Compatible with eVic Basic MOD. Can't believe how much vapor it makes with all air holes open. Price is fantastic. The charger works with a magnet, so it clicks right in and stays in place for when you want to use it while charging. 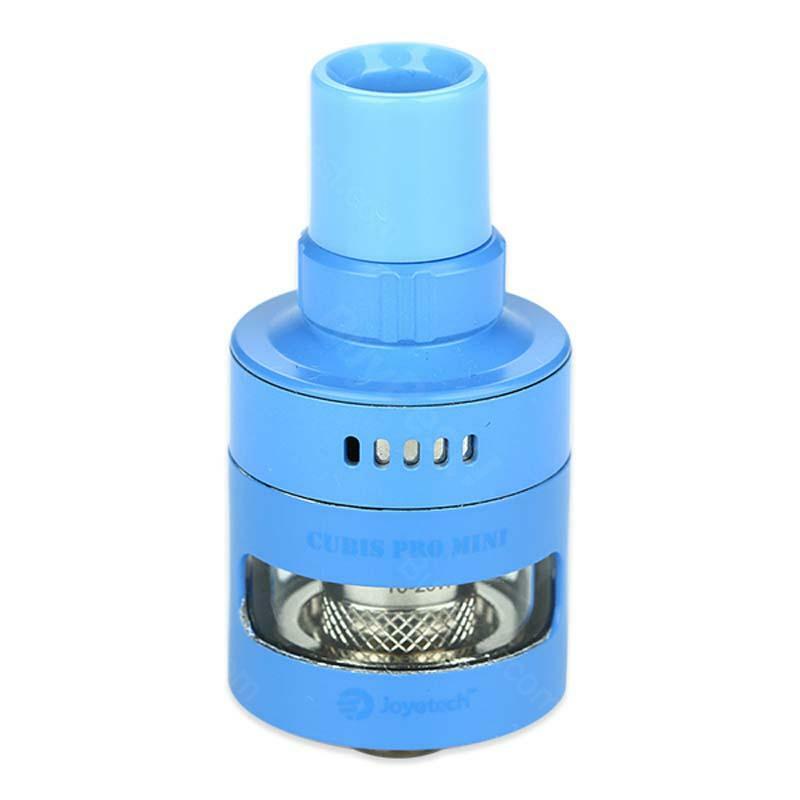 Joyetech CUBIS Pro Mini Tank Atomizer brings no nice flavor as good as a RTA. Joyetech CUBIS Pro Mini ist leicht von der Bedienung also gut für Anf?ngen geeignet. Aufladezeit des Akkus ist auch schnell.